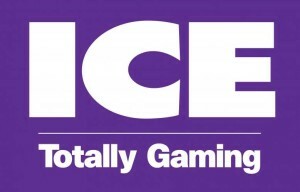 As I have an interest in online casino gaming and in particular Live Casinos I recently attended the number 1 conference for the casino industry, ICE Totally Gaming 2015 in London. 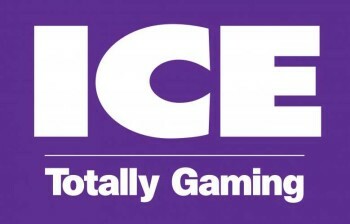 It runs for 3 days and most if not all gaming suppliers were represented at the conference. On the live casino front I learned a few things that I thought I’d share with you. Most of the live casino software suppliers are doing something so we can expect to see the release of new games and features from all of the major suppliers. Some were more open about what they were planning than others, I guess so they could keep some advantage over their rivals. 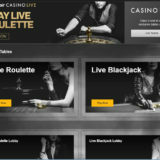 New live casino games have or are being developed and some are about to be released. Two of the major players in the industry, Evolution Gaming and Playtech have new games ready to roll and Microgaming have just released their version of Live Casino Holdem. Playtech plan to release a table version of Hi-Lo, a card game where you bet on whether the next card is higher or lower than the previous one. I’ve seen the game in action and have also seen it in land based casinos. It wouldn’t surprise me if we see other table games in land based casino make it into online live casinos, it’s just a matter of time. Evolution will be making greater use of their Immersive technology as well as releasing new games and there will be improvement with the mobile offering. This adds to their recent releases of Bet Behind and the Party Blackjack tables. 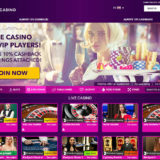 Net Entertainment will be adding more background options for their casino with better integration and on screen promotions. If you’ve been playing at a NetEnt casino recently you may have seen their Circus Roulette branded tables which used the new technology. 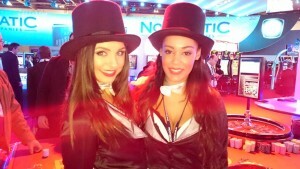 Novomatic have purchased a large share of Extreme Live Gaming and they are currently setting up a live casino studio in London, ready to roll out a new Live Casino very soon. 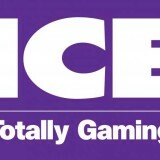 You may recognise some of the presenters as they have worked for Smart Live Gaming. Other things to look out for will be the Squeeze functionality on Baccarat card games. It’s already been implemented across a number of Asian gaming companies but is sure to make it over to Europe and the rest of the world at some point. Expect to see the providers with big Asian markets implement it first. Robot dealers – already in existence there are robot dealers, similar to the Robots used for making cars. They are being used to deal cards or spin the wheel for roulette. Again largely for the Asian market. Is this something we can expect to see at Evolution and Playtech? Not so sure about that! American residents in New Jersey will probably get access to online Live Casino in 2015. My contact said they were working on it but nothing concrete had been signed. Another exciting thing I saw was a mobile device being used to stream its mobile live games onto a smart TV. You use your mobile to control the games but you watch on your large TV screen. Pretty cool. A common theme are the improvements to the player experience. We will start to see the introduction of more cameras, so for example when you’re sitting at the blackjack table in position one you’ll get a view of the dealer from that position. You’ll also see cameras positioned behind the dealer so you can view the shuffle and cards being dealt. I’m not sure if I’m able to say who will be doing this first so that’s all I’ll say until I have more information. Keep an eye out on my Live casino news section for further details. You’re going to see some casinos change their Live Casino suppliers. A good example is Smartlive Gaming where over the past months they have increased the number of Live casino suppliers they use from 1 to 4. Expect this to change again very shortly and be sure to see my Smartlive Gaming review to read about the changes as they happen. 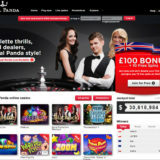 It’s going to be a very busy 12 months in the world of live casino. More and more casinos are able to offer live casino to their players and with such a breath of live casino software there’s a game to suit everyone’s needs.